“It’s like a dream to be able to play over the course of only a few days and hear my most beloved musical pieces of our time, and to share with the audience members of the most vibrant and progressive festival on the American continent – OJAI. These pieces changed my life – I hope ­ they will also find a very special place in your souls,” Patricia Kopatchinskaja, 2018 Music Director. The 2018 Ojai Music Festival welcomes the Mahler Chamber Orchestra in its first extended United States residency. The Mahler Chamber Orchestra was founded in 1997 based on the shared vision of being a free and international ensemble, dedicated to creating and sharing exceptional experiences in classical music. With 45 members spanning 20 different countries at its core, the MCO works as a nomadic collective of passionate musicians uniting for specific tours in Europe and across the world. 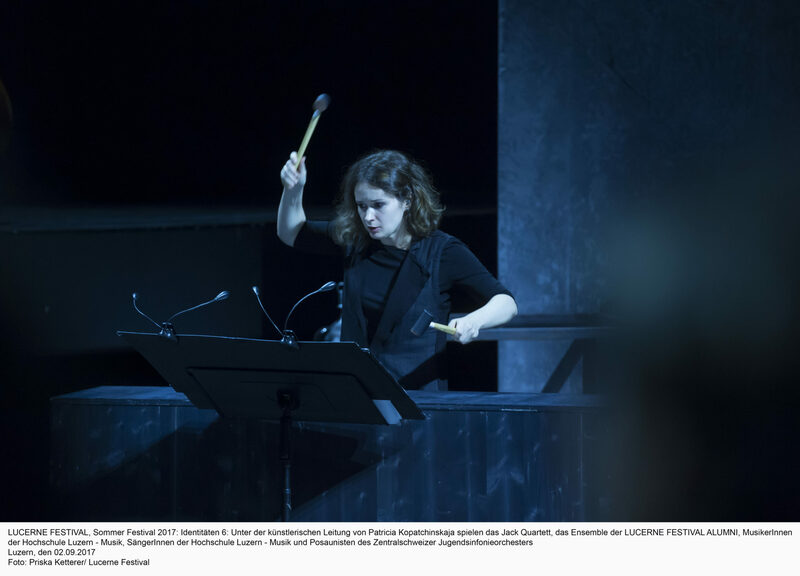 Based in Berlin, the Mahler Chamber Orchestra forms the basis of the Lucerne Festival Orchestra and has long and fruitful artistic relationships with major artists, including Ms. Kopatchinskaja and Mitsuko Uchida, Ojai’s 2021 Music Director. In Ojai, the Mahler Chamber Orchestra will be featured both as an orchestral ensemble, and showcased for the solo and chamber music artistry of its members. Major 2018 Festival projects include two staged concerts designed by Ms. Kopatchinskaja. The first is Bye Bye Beethoven, which she describes as a commentary on “the irrelevance of the classic concert routine for our present life.” This staged program features a mash-up of music by Charles Ives, John Cage, Joseph Haydn, György Kurtág, Johann Sebastian Bach, and the Beethoven Violin Concerto. Ms. Kopatchinskaja’s second semi-staged concert is her own provocative commentary on the inevitable consequences on the planet of global warming. Titled Dies Irae, the program includes music by Heinrich Ignaz Franz Biber, Michael Hersch, Byzantine chant, Giacinto Scelsi, and Galina Ustvolskaya’s remarkable Dies Irae for eight double basses, piano, and wooden box. American composer Michael Hersch will premiere at the 2018 Ojai Music Festival a new piece described by him as a dramatic cantata for two sopranos and eight instrumentalists. It will then be performed at Cal Performances’ Ojai at Berkeley and at Great Britain’s venerable Aldeburgh Festival. Mr. Hersch, who wrote a violin concerto for Ms. Kopatchinskaja two years ago, is considered one of the most gifted composers of his generation and is a formidable pianist. He currently serves on the composition faculty at the Peabody Institute of the Johns Hopkins University. This new work is a co-commission by the Ojai Music Festival, Cal Performances Berkeley, the Aldeburgh Festival, and PNReview, the prominent British poetry magazine at which Mr. Hersch is artist-in-residence. Advance 2018 series subscriptions can be purchased here.